This statistic shows the average annual expenditure of consumer units in the United States in 2017, by composition of the consumer unit. 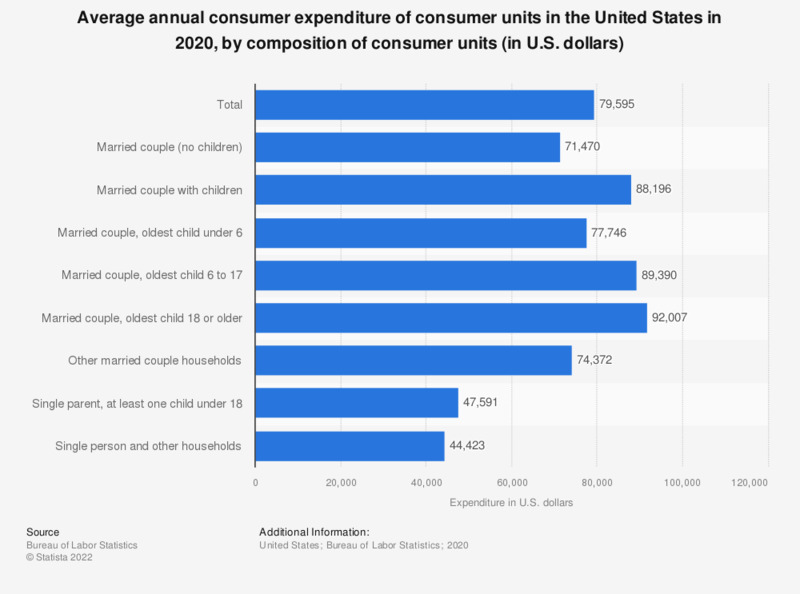 In 2017, married couple without children households spent 78,129 U.S. dollars on average. The average amount of total annual expenditure amounted to 60,060 U.S. dollars.